No running yesterday per my running coach. Instead I did the elliptical while watching New Girl and The Mindy Project. I felt very girly. Today I get to do “around 5 miles” which means I will do 6 miles if my knee is feeling good! Weather forecast for half marathon day? Lots of rain and kind of warm. I read an article in the local paper that says we could expect coastal flooding around 8:20am on Sunday. My running coach said she doubts they will cancel the half, but the flooding sure could make things interesting. I am going to try to take Lisa’s advice and forget about the rain for now. But really, first I need to decide how potential rain will impact my clothing situation. Last time I wore capris in the rain I hated how heavy they got. That prompted me to buy my first pair of running shorts. But I really would prefer running 13.1 in capris to prevent any chafing situations. Hmmmm…. what would you do? 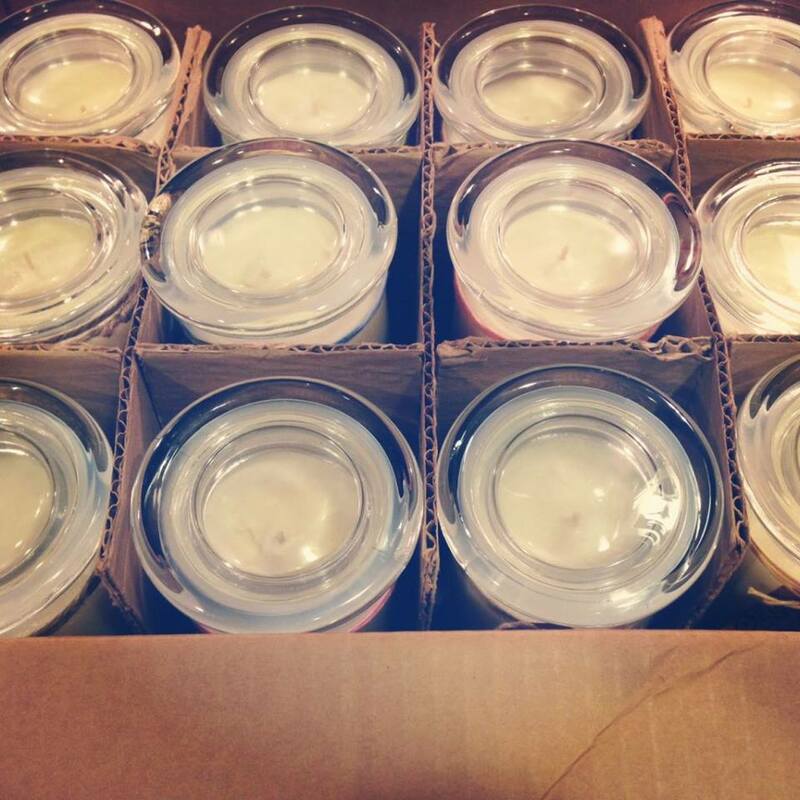 On Monday I got my first BIG order for candles…. very exciting and also very exhausting. I was up Mon. night until past midnight making candles. The good thing is my house smells amazing! I can’t believe how close I am to Half Marathon Day. Ahhhhhhhhhhhhhh! Top tips for running in (heavy) rain? How do you keep the rain out of your eyes? What kind of capris do you wear? Can you get a light pair that will wick the moisture away? I have never had a problem with capri tights (I like The North Face) feeling heavy. Good Luck pleasing the weather gods this week. Get some body glide and apply lots of it, everywhere. Otherwise a race is the rain is just that … you’ll get wet. It may be uncomfortable at times. You can’t control the elements, so just go out there and have fun! Hi David! Thanks for the advice, I will definitely be applying Body Glide! I really am planning on having lots of fun, fingers crossed! I agree – a pair of lightweight, moisture wicking capris would be the go. Mine are Nike. There are heaps of different makes/models out there though. I am going to go to the running store tonight and try some new capris on. I really like Under Armor stuff but Nike is definitely an option too!